The very wealthy and very sheltered Preston Meadows lives his life protected from even the hint of harm. 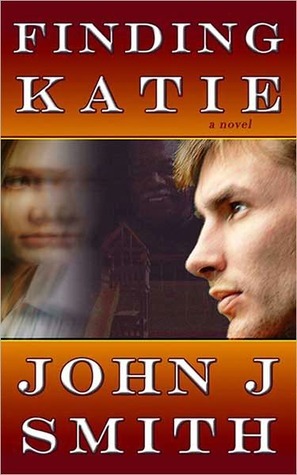 His world is safe and secure until someone kidnaps his sister, Katie. Against his parents’ wishes, Preston sets out on his own to find her. Preston works hard to blend in with the “regular” people roaming the streets of Dallas – but the real world is zany, insane, full of danger and ruthless criminals. Preston soon begins to learn more about himself and finds he has a knack for foiling certain crimes. In his adventures, during his search for his sister, he makes friends with some of the strangest people he could ever imagine. Along the way, Preston falls in love, comes face-to-face with a self-described Drug Lord, and discovers a side of himself he never knew existed, especially after the Drug Lord kidnaps his girlfriend. The book was a little far out for me, as in drag queens, insanity, and killers at ever street corner. I couldn’t relate very well and never knew where the main character was going next. Preston, was on an adventure to find his sister, but he definitely got more than he bargained for. If you’re in to weird people, a little craziness, and a few chuckles then you may want to try Finding Katie for your next read. I received this book for review and was not compensated in any way and all opinions are my own. This giveaway will end on April 2, 2012 at midnight EST. Winners will be drawn via rafflecopter. Once a winner is drawn I will contact them and they will have 48 hours to reply before I draw a new winner. Giveaway is open to anyone in the US & Canada for print & Worldwide for eBook and you must be 18 years of age or older. Giveaway not affiliated with Facebook & I release them of liability. Winner will be posted in the rafflecopter widget. The Key of Kilenya eBook Giveaway ~ 5 Winners! When two vicious wolves chase fourteen-year-old Jacob Clark down a path from our world into another, his life is forever changed. He has no idea they have been sent by the Lorkon—evil, immortal beings who are jealous of powers he doesn’t know he possesses—powers they desire to control. The inhabitants of the new world desperately need Jacob’s help in recovering a magical key that was stolen by the Lorkon and is somehow linked to him. If he helps them, his life will be at risk. But if he chooses not to help them, both our world and theirs will be in danger. The Lorkon will stop at nothing to unleash the power of the key—and Jacob’s special abilities. Since Harry Potter and then Twilight, I have been into fantasy. It is a new genre that I have enjoyed as I travel into make believe worlds and visit strange creatures with inhuman abilities. 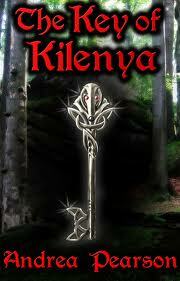 The Key of Kilenya is the first in a six book series written by Andrea Pearson who was also a first time author. A super sweet woman that I have enjoyed chatting with in my email. The book is geared for starting age of 10 to 12 or so. I thought there were some darker sections, but I overall I am eager for my almost 10 year to read it to see what he thinks. I definitely enjoyed it as a youth book. I was caught up in Jacob’s adventure, waiting to see how his new powers would work, and if he really could accomplish the goal of stealing the key back for the greater good. His friends became my friends and I was worried about them when he was. Does it have a happy ending? You will have to find out! Win the eBook The Key of Kilenya in any form ~ 5 Winners! I received an ebook to review but was not compensated. All opinions are my own. This giveaway will end on Feb. 14, 2012 at midnight EST. Winners will be drawn via rafflecopter. Once a winner is drawn I will contact them and they will have 48 hours to reply before I draw a new winner. Giveaway is open to anyone and you must be 18 years of age or older. Not affiliated with Facebook. Winner will be posted in the rafflecopter widget.